Bettercare books are developed by multi-disciplinary teams of nurses, midwives, obstetricians, neonatologists, and general paediatricians. The development and review of all our material is overseen by the Editor-in-Chief, emeritus Professor David Woods, a previous head of neonatal medicine at the University of Cape Town who consulted to UNICEF and the WHO. Many of our books are developed in close partnership with leading healthcare organisations. The Academic Unit for Infection Prevention and Control (UIPC) is based at Tygerberg Academic Hospital and the FMHS. It resides under the Division of Community Health and is also a member of the Centre for Infectious Diseases. The UPIC focuses on integrated research, training and service provision. The unit offers a range of tailor-made courses in infection prevention and control (IPC) as well as decontamination and sterilization for Sterile Service Departments (SSDs). In addition, courses are offered for specialities such as the operating theatre, renal dialysis, intensive care and infectious diseases. The Breast Course for Nurses (BCN) combines distance education with a residential course. The emphasis is on learning rather than teaching. The Breast Course for Nurses can be adapted to suit the needs of the health care providers being trained. The Desmond Tutu HIV Foundation at the University of Cape Town, South Africa, is a centre of excellence in HIV medicine, building capacity through training and enhancing knowledge through research. Supported by Emeritus Archbishop Desmond and Mrs Leah Tutu. The work is underpinned by innovative academic research undertaken by the Desmond Tutu HIV Centre (DTHC). Pairing community-driven development and internationally acclaimed research, the DTHF envisions a brighter future where HIV is manageable and its presence diminished in South Africa’s communities. 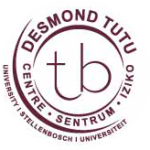 The Desmond Tutu Tuberculosis Centre at Stellenbosch University, South Africa, strives to improve the health of vulnerable groups through the education of healthcare workers and community members, and by influencing policy based on research into the epidemiology of childhood tuberculosis, multi-drug-resistant tuberculosis, HIV and TB co-infection and preventing the spread of TB and HIV in southern Africa. 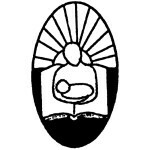 The Perinatal Education Programme (PEP) is produced and distributed by the Perinatal Education Trust, a non-profit organisation which aims to improve the care of pregnant women and their newborn infants, especially in poor, rural communities. 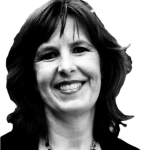 The PEP methodology is cheap, appropriate, practical and does not require a teacher. Eduhealthcare was a non-profit organisation based in South Africa. It aimed to improve health and wellbeing, especially in poor communities, through affordable education for healthcare workers. To this end it provides financial support for the development and publishing of the Bettercare series.